Jarret has been apart of the GR@H Crew for some time now. The dude continues to bring it. Now that he has incorporated P90X2 into his routine he has now in ELITE shape. From being 275lbs to now building his own rope climb at his outs, running mud runs, and doing push ups and pull ups till the sun goes down, the guy doesn’t say quit. Check out his P90X2 results and story! Want to ask Jarret how he did it? You can find Jarret through his website Ripped4TheKingdom.com . I started doing beachbody programs in January of 2011. I had great success with P90X and Insanity. When I heard that P90X2 was coming out, I couldn’t wait to try it. I knew that it was going to be better than the ﬁrst one, and I had to get it. I preordered the program on the ﬁrst available day. I knew P90X2 would make me stronger, faster, leaner, and in the best shape of my life. When I ﬁrst started P90X2, my goal was to be leaner, functionally ﬁt, and able to do things I could only dream about before I started the program, like dunking a basketball. 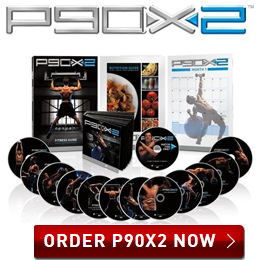 When I ﬁrst started the P90X2 workouts, every single exercise was challenging. I felt like I had never done a beachbody workout before. The balance moves challenged me and worked out muscles I forgot I even had. I used all of the recommended equipment including the pull up bar and the medicine balls along with the rumble roller which is so great that I will not work out without it. Although the exercises were challenging, I kept on pushing the play button on the workout every day and completing the challenge. Every day I felt stronger. Every day was one day closer to reaching my 90 day goal of completing P90X2. Every day I also logged my workout in my challenge group which helped me to stay accountable. I saw physical changes in my body almost immediately. My body fat decreased. My waist size shrunk, and I started to lose those stubborn love handles while I saw an increase in lean muscle mass. I reached my initial goals and am looking forward to continuing P90X2 to see even better results in the future. P90X2 has helped me improve my body and my life. Now, I am able to play basketball with my daughter without worrying about hurting my back or getting too tired to play. Also, I can keep up with my friends playing ﬂag football. My clothes ﬁt better, and I am happy with the way I look. When I began the beachbody programs, I also followed the nutrition plan, and I cut out things in my diet that I thought I could never live without like diet soda, coffee creamer, and sugar. I knew that every day I needed to push play and trust the process like Tony says on the video. I knew that if I followed the program, that I would get the results I was looking for, and this happened. P90X2 was very different from P90X because in the new program, almost every move focused on core and stability rather than just strength or resistance. I also loved that the phases of the program were so different that it felt like I was always doing a new workout so I was never bored or disinterested. 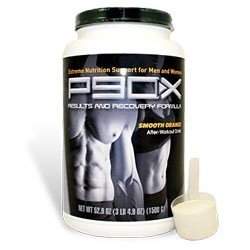 In P90X, the phases seemed a bit repetitive, but P90X2 kept me guessing which I loved. 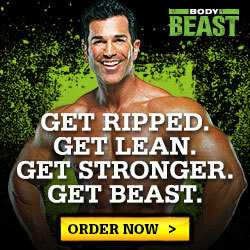 I especially was surprised by the result in my body that I saw in the last phase of P90X2. During the PAP phase, I saw my greatest results and know that I will be able to see further results in the future as I continue to do the program faithfully.